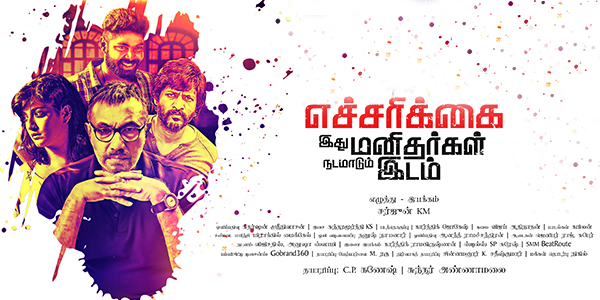 'Echarikkai' is an upcoming movie which has Sathyaraj and Varalaxmi essaying the lead roles. The film is directed by Sarjun who got very famous with his short titled 'Lakshmi'. While it's worth mentioning here that Sathyaraj is portraying a IPS officer in the film, the ensemble cast also includes Yogi Babu, Vivek and Kishore. The filming for the movie began in December 2016 and was wrapped up by April 2017. Sundaramurthy KS is scoring the music for the film while editor Karthik Jogesh is making the cuts. Sudharshan Srinivasan is handling the cinematography for 'Echcharikkai'. The movie is being bankrolled by Sundar Annamalai of Timeline Cinemas. The film is all set to release coming August 24. so mark your calendars to not miss out on this much awaited flick!